California is such a big and diverse state that it has just about everything for a person seeking a great vacation. From classic gourmet dining in San Francisco to the great outdoors in Yosemite and Sequoia National Parks, the question is not whether to go but where to go. 1. Los Angeles – The second largest city in America is the home to America’s film and television industries. Studios such as Warner Brothers, Paramount, and Universal (which also has a great theme park) offer behind the scenes tours. Venice Beach is an iconic place where you can find outdoor vendors and performers of all varieties. Nearby Disneyland in Anaheim is a must-visit place for families or even adults wanting to rediscover their inner child. The Hollywood Walk of Fame, the Los Angeles Museum of Art, and the La Brea Tar Pits are also attractions that are worth a look. 2. 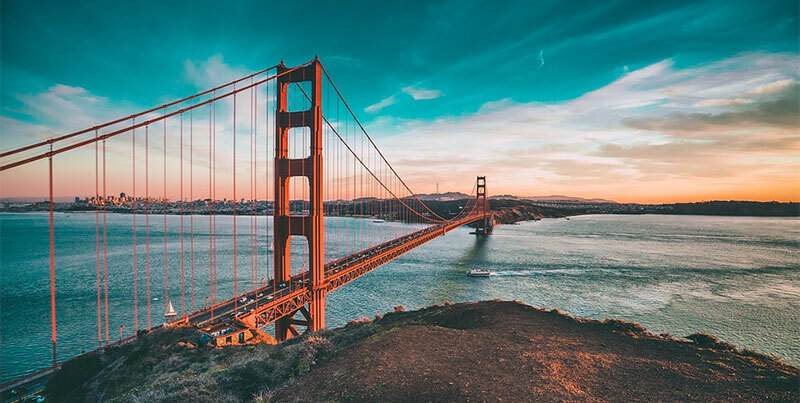 San Francisco – The iconic city in Northern California is the home to the Golden Gate Bridge and Fisherman’s Wharf. A ride on the cable cars is an experience that cannot be had in any other city in the world. Take a ferry to Alcatraz Island, and take a tour of the notorious prison. The San Francisco Maritime National Historical Park is the home to a number of historic ships. The Japanese Tea Garden, the San Francisco Botanical Gardens, and the Conservatory of Flowers are all located in Golden Gate Park. San Francisco, due to its rich, diverse immigrant community, is the home of a vast number of great ethnic eateries. 3. San Diego – The city, located on the southern California coast, has a number of undiscovered attractions. Balboa Park is filled with natural greenery, shady trees, walkways, gardens, museums, and theaters. The park is home to the world-famous San Diego Zoo, which houses more than 3,700 animals of 650 species and subspecies. The Gaslamp Quarter is an historical area of more than 16 blocks filled with restaurants, boutiques, and entertainment venues. The Sea Port Village is another dining and shopping destination by the bay. The nearby USS Midway Museum displays the retired United States Navy aircraft carrier, its planes, and its history. 4. Napa Valley – A tour of Napa Valley, California’s wine country, is a must for anyone who has courted the grape. You can take a wine tasting tour, or you can get in the car and do a little exploring. Many distilleries in Napa Valley not only offer wine tasting but tours of their facilities where they explain the wine-making process. The region also provides excellent dining, cultural venues, and some of the most beautiful landscapes in the world. 5. Yosemite National Park – Yosemite National Park has just about every kind of natural wonder that can be found in eastern California, including waterfalls, granite cliffs, mountain ranges, streams, groves of giant sequoias, lakes, and glaciers. Yosemite has been noted for its rich biological diversity. While a lot of people drive through the park, bus tours are available for people who don’t want to put up with the lack of parking and congestion that occurs during the summer season. Visitors can also go on multi-day backpacking tours, do rock climbing, and white-water rafting among other activities. 6. Sequoia National Park – This national park, as the name suggests, is the home to giant sequoia trees, among which is the General Sherman, designated as the largest tree in the world. Much of the park is roadless wilderness, accessible only by foot or horseback. Therefore, the park is a favorite for hiking, backpacking, fishing, and camping. Attractions include the Tunnel Log, the Crescent Meadow made famous by John Muir, and Moro Rock, from where much of the park can be viewed. The Giant Forest Museum relates the history of the Sequoias and the history of the park. 7. Palm Springs – The desert resort town is the home of numerous golf courses, spas, and cultural venues. The city contains a large number of boutiques and eateries. Palm Springs is also a great jumping-off point for day trips to the nearby desert and canyons. The San Andreas Fault, which runs along much of the length of California, can be visited at a Palm Oasis where water seeps out from beneath the earth. Many tours include interpretive guides to bring to life the vibrant ecosystem. Delaware is a small state, one that many people often disregard when it comes time to plan a vacation. This is a major mistake, as Delaware has some of the most fun and engaging summer vacation spots in the country. The following are just seven of the most popular and exciting places that you can visit this summer in Delaware. 1. Dover – The capital of Delaware is one of the most culturally-rich areas of the whole state. It is a bustling city with a variety of incredible places to visit, including the Air Mobility Command Museum, which gives you and your family access to some of the most important aviation breakthroughs in history. There are also a variety of racing tracks and other museums, such as the Johnson Victrola Museum, John Dickinson Plantation, and Spence’s Bazaar, a cool little flea market that offers a lot of great vacation shopping deals. 2. Rehoboth Beach – Delaware’s number one beach destination, Rehoboth Beach has plenty of fun destinations, including multiple swimming areas, fishing tours, surfing lessons, and much more. It also offers you access to places like the Midway Speedway Park, a fun racing destination, an old-fashioned boardwalk, and Funland, a multi-purpose fun destination with mini golf and much more. Intriguingly, you can also find places to horseback ride on the beach, giving you plenty of opportunities to look majestic against the expanse of the Atlantic Ocean. 3. Fenwick Island – This popular vacation destination is one of the best places to experience the underrated beauty of Delaware’s great outdoors. One of the most fun ways to do that is to rent a kayak or a paddleboard and take a sunset tour. There’s nothing quite like being out on the water and watching the sunset over Fenwick Island. However, there is also the state park, which is home to the shipwreck museum, a “down under” golf museum, and a marina that gives you access to waverunners and pontoon boats. 4. Lewes – Few people who have never been to Delaware have ever heard of Lewes, but those who have know it is a great vacation destination. It is home to Cape Henlopen State Park and a variety of beach state parks. It also gives you access to several ferry services that will let you tour Cape May and various Lewes beaches. For those who are interested in history, there is the Fort Miles Historic Area, multiple historic walking areas, and the Zwaanendael Museum. Lewes is also home to multiple historical local lodging centers, including Hotel Rodney, the Lazy L Bed and Breakfast, and Hotel Blue, giving you and your family plenty of places to stay during your visit. 5. Brandywine Creek State Park – Another great summer vacation destination, this state park is home to two different nature preserves: Tulip Tree Woods and Freshwater Marsh. The trees in Tulip Tree Woods are over 190 years old and Freshwater Marsh is home to multiple rare migrating birds. Visitors to the park have access to multiple hiking trails, fishing areas, and multiple camping grounds. With an expanse of nearly 1,000 acres, even locals love visiting this park because it is rarely filled with excessive levels of tourists. A great place to stay if you want to be alone on your vacation. 6. Wilmington – Wilmington is one of the most historically important cities in Delaware. It is also one of the largest and most inviting of all cities, offering visitors a little bit of everything. It is home to the Delaware Museum Of Natural History, which includes fun exhibits like the Dinosaur Gallery and the Shell Gallery. Wilmington is also home to the Hagley Museum and Library, which celebrates 200+ years of American industry and science. Wilmington is also home to multiple lodging options, zoos, and a variety of other fun vacation destinations. 7. Delaware Seashore State Park – Last, but not least, is Delaware Seashore State Park. This park has many different ways to have fun, including various rentable cottages, camp grounds, summer camps, the Indian River Marina, and even a life-saving station. Here, you and your family can learn how various first aid techniques that will keep you safe during your visit. Go swimming, fishing, or make s’mores on the beach: just make sure to relax and enjoy the beautiful summer sun. As you can see, there are actually quite a few surprisingly fun places that you can visit in Delaware, making it a summer vacation destination that is worth your time and consideration. Why not call ahead and book lodging at one of these areas? You won’t regret it. Colorado is all about adventure in the great outdoors. It’s winter time skiing is famous around the world, and there is plenty of adventure available in the summer as well. Kayaking or rafting on white water and hiking in the mountains are just the beginning. 1. Buena Vista – This small town on the Arkansas River takes advantage of the river, and its rapids, in a great way. There are three or four companies that will take you on a white water rafting trip you won’t soon for get. There are trips ranging from a few hours to six days. Even if you’re not a fan of white water, there is still a lot of amazing scenery along the river for quieter rafting trips. The town has nice scenery, great hotels and good restaurants, near the San Isabel National Forest, southwest of Denver. 2. Vail – One of the best skiing areas anywhere is in Vail, but there is plenty of action in the summer as well. The small town is at the base of Vail mountain, at 8,000 feet. The mountain rises to 11,570 feet. The resorts and shopping that make Vail famous in winter, are still going full speed in summer. All of the great resorts are still open and sometimes better prices are offered. There are a lot of trails through the mountains, so there is mountain biking, hiking, and fly fishing to keep you busy and entertained. Plus, you can visit the world’s highest botanic garden there. 4. Boulder – There is a lot to do in this college town in the sky. Boulder creek runs through town, and there are a lot of great kayaking and rafting opportunities here. The Chautauqua National Monument is also on the edge of town. This park has 48 miles of hiking trails. In June, Theater Hikes of Colorado performs scenes from “Snow White” as you hike along the trial, which is a unique experience. The Chautauqua Dining Hall that has been in business since 1898 offers great food in a historic setting. The largest farmers market in Colorado is here, and the Pearl Street Mall has one of the largest collection of restaurants in the state. 5. Colorado Springs – There are some great tourist attractions in Colorado Springs, and the cool thing is they are worth the visit. The Garden of the Gods park of stone is a great way to spend a day. You may also take the Pikes Peak railway to the top of Pikes Peak, another sight that should not be missed. You may also visit the Manitou Cliff Dwellings, and all of that without leaving town. The Cheyenne Mountain Zoo is always great and always expanding. Another train will take you along the Royal Gorge Bridge from Colorado Springs. 6. Crested Butte – This small town is at the base of Crested Butte, and one of the great skiing areas. It is at 2,000 feet above sea level, so not high in the mountains, but surrounded by a lot of ski resorts. Those resorts don’t close in summer, so you can still enjoy them all. The town has a four-week long music festival in summer. Some of the best mountain biking and hiking anywhere is to be found here, with hundreds of miles of trails trough the scenic valleys. There is a flower festival in July that celebrates natural wild flowers. Zip lines are also very popular around Crested Butte. The kids are not left out, as there is a children’s trailhead museum, and a kids nature camp. 7. 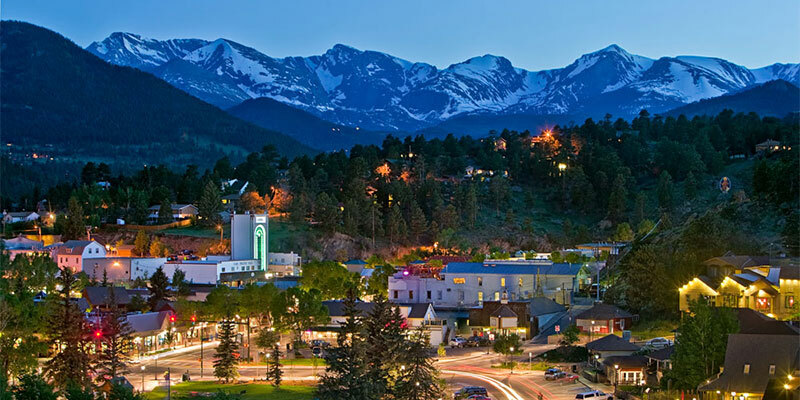 Estes Park – The gateway to the Rocky Mountain National Park is here, and this is one of the more popular summer destinations for people who live in Colorado. Elkhorn Ave. is famous for its quirky shops and trendy restaurants. There are a lot of festivals through the summer months, such as a fishing derby and a wool market. There is also a nature association that puts on half day, and full day, nature trips along trials in the mountains. Again, here you may take advantage of the ski resorts, and this is one area in Colorado where summer may actually be the heavy season. Turkey has a lot to offer to tourists, locals and foreigners alike. There are beaches, villas, local cuisines, and festivals for people to see in different times of the year. Where can you go if you’re in Turkey? The picturesque, mountain-backed lagoon adorned with pines is unmistakably one of the must-see places in Turkey. Just look at the promotional posters for tourism in Turkey. Ölüdeniz Lagoon is heavily promoted. There’s been too much development, but much of the environment was preserved, too. The blue waters are too inviting to resist. Turkey’s longest beach is also its most scenic. Patara is a strip of wide expanse of white sand. What’s not to love? Surfers can enjoy the waves. Kids enjoy running on the dunes. In the southeast end of the beach is a beach cafe with sunbeds and umbrellas and a scenic view of the remains of a medieval city. The Bodrum Peninsula has become a tourist hub. The well-off locals and visitors would go to this rocky finger not only to see Ottoman cisterns and olive groves but also to bask in one of its several beaches. Bitez and Türbükü are quite popular for their pool complexes, spas, posh restaurants, and clubs. Needless to say, the Bodrum Peninsula is the perfect hideaway. Pronounced “see-day,” Side is another Mediterranean resort. Ancient Greek and Roman temples abound the old section. The sole hotel in town is Barut Andiz. Accommodations don’t break the bank. In addition, it brings you to the old Side, where you can see the old ruins and take photographs of the temples of Apollo and Athena. What used to be a small, humble fishing village transformed into a famous holiday getaway in the 1980s. Kalkan is not your typical night-out destination. With no bars and clubs, you’re left with mildly stimulating ambiance that doesn’t overwhelm the senses. Think of cozy restaurants, cafes, and fishermen’s cottages. It’s for people who want a quiet moment away from rowdy party animals. Antalya is a Mediterranean beach resort that combines new and old things. You get to experience vibrant nightlife. You can shop around, watch films in cinemas, or stroll around the suburbs. Classical music and opera enthusiasts are in for a treat. Enjoy the magnificent views of limestone cliffs that greet Konyaalti Beach from Su Hotel. Old houses and cobbled lanes will greet anyone who comes to Alaçati, which is one of the favorite destinations of the affluent citizens of Istanbul. That means accommodations and food are fairly expensive. The elegant hotels and authentic holiday experience are always worth what you pay for. The town sits on the foot of the jagged Taurus mountains. The looming mountains and the long beaches are just two of the charms of Alanya. Essentially, it’s another historic destination ideal for people who love to see ancient architecture as well as lovely beaches. Check out Villa Turka hotel and be in awe with the view of the sea. If you’re traveling to Rome, you can fit in quite a few exciting spots to your schedule. Why not? It’s one of the most beautiful cities in the world. Not to mention it’s a historical destination with majestic churches, must-see museums, and world famous ruins. And, just because there is no shortage of things to see and do within Rome’s city center doesn’t mean that you can’t venture out to the surrounding areas. Below you’ll find some ideas on things you can do that might not yet be on your itinerary while visiting Rome. Enjoy the Seafood in Capri. 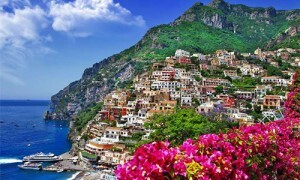 You need to free an entire to truly enjoy Capri. You can get to this beautiful place via a train ride from Rome to Naples and then a boat ride across the Gulf of Naples to Marina Grande. Marina Grande is the main port of Capri where you can check out different shops and enjoy their Mediterranean seafood cuisine. But one thing not to miss when you’re in Capri is the Blue Grotto. It’s a magnificent cave endowed with emerald waters that cast surreal reflections inside. Also, if your legs can allow, hike to the town’s highest peak, Mount Solaro, and look at the breathtaking scenery. Go see magnificent views in Tivoli. Tivoli gives you good views of the Aniene River. Sitting on the top of a hill, Tivoli offers a fine refuge from the metropolis. The most popular place to go is the Villa d’Este, which has been restored to reveal its original grandeur. While you might enjoy the Mannerist frescoes, you should go see the gardens. You should also go see Villa Gregoriana, and if it isn’t too much to ask, go see Villa Adriana too. The view has changed dramatically because of heavy silting and the recession of the shoreline. Ostia now sits about 3 kilometers from the sea. If you’re in Rome, you can drive or travel to Ostia for about 45 minutes. What you’ll see is ancient apartments and remains of ancient houses. Ostia used to be the city’s main port and commercial center up until heavy siltation caused a decline in economic activity in the 4th Century. Basically, it gives you a good perspective of what old Rome was. Experience the Mediterranean beaches in Santa Severa. Rome is a coastal city, which means you have a lot of opportunity to go to the beaches. One paradise that comes to mind is Santa Severa. The only problem is the long walk from the train station to the beaches, because there is no means of transportation aside from occasional buses. But when you get there, you can enjoy the sandy beaches, some of which are free for the public. Then you can check out a small municipal museum and the famous Castello Santa Severa. Check out the best museum in the city. Galleria Borghese is famous for its antiquities, which give you the 17th-century ambiance. Bask in the Renaissance atmosphere. Check out the baroque art and Bernini sculptures. Walk along Via del Governo Vecchio and shop! This street retained its 15th-century vibe, and that’s a good thing because you get to see the medieval architecture. But on the street are shops that are anything from boutiques to pizza stops.